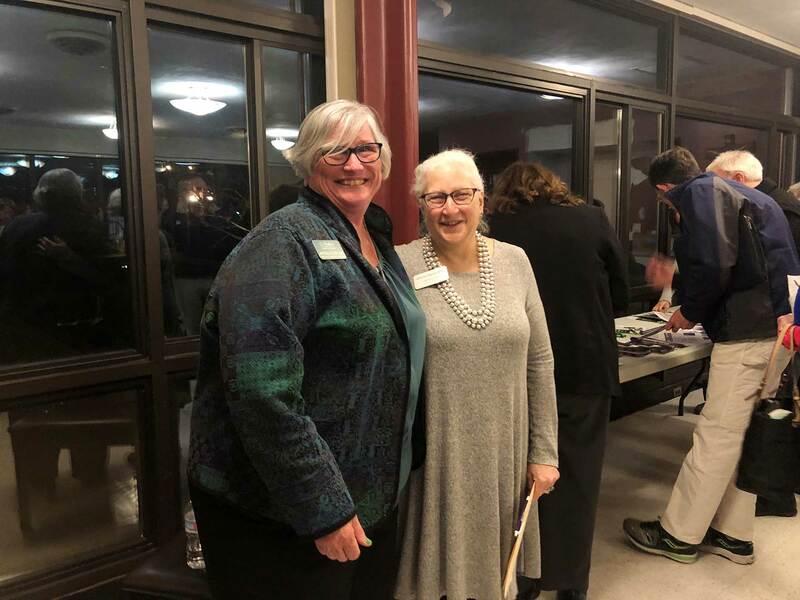 Dolan Memory Care Homes had the privilege of discussing facts versus myths regarding Alzheimer’s disease to over 50 parishioners who care for family members with dementia at St. Peter’s Catholic Church in Kirkwood on the evening of March 25, 2019. Jan McGillick, MSW, LNHA, Director of Community Engagement, and Debra Bryer, RN Earl Stage Manager at Alzheimer’s Association conducted a discussion panel. Jan had served at the Alzheimer’s Association for over twenty years as the Director of Education prior to joining Dolan Memory Care Homes five years ago. Deb and Jan covered disease progression from early to late stages and fielded several questions from the community. Deb and Jan shared the most current research and how dementia are detected, diagnosed and treated. They discussed how to best communicate with individuals with memory loss and to capitalize on strengths. A wide range of resources were shared to keep an individual with a memory impairment safe and happy at home. They offered a listening ear, engaged in problem solving, and provided concrete detailed solutions for the community. Dolan Memory Care Homes recognizes how dementia not only affects the individual diagnosed, but impacts the entire family. We are honored to partner with the Alzheimer’s Association and to offer the community support!